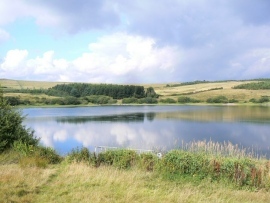 "Arnot Reservoir - geograph.org.uk - 223911" by James Allan - From geograph.org.uk. "Crail (3292511007)" by xlibber - CrailUploaded by russavia. 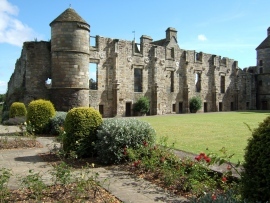 "Falkland Palace 08" by Mike Beltzner - Falkland Palace, seen better days Uploaded by Kurpfalzbilder.de. 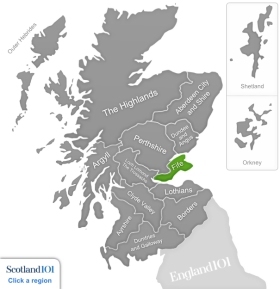 The Scottish region of Fife is found between the Firth of Tay and Firth of Forth, sharing its inland boundaries with Perth and Kinross and Clackmannanshire. With such amazing views, it seems natural that there are skydiving facilities in the region. 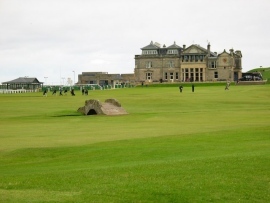 One especially stunning places to take the plunge is St Andrews. Whether you are a seasoned skydiver or this is your first jump, the staff will make you feel at ease so you can fully appreciate the views and be invigorated by the experience. 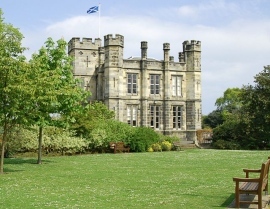 St Andrews is home to the University that the Duke of Cambridge (aka Prince William) attended, but is definitely worth a tour even without this claim to fame. The history and architecture alone are enough reason; it is the oldest of the four ancient universities in Scotland and the third oldest in the English-speaking world (following Oxford and Cambridge). The town is scattered with university buildings and during term time, a third of the town’s population is university staff or students. The university is known for preserving ancient traditions such as Raisin Weekend, May Dip and the distinctive academic dress. 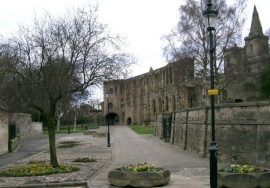 The remains of St Andrews Cathedral show how impressive it must have been in its hey day. It was Scotland’s largest and most magnificent church, and the museum houses a collection of relics that were found on site. The views from the Cathedral’s location are spectacular, overlooking the sea. A boat trip to the Isle of May is a lovely day trip from Fife’s mainland. In season you will likely see thousands of seabirds; however a visit out of summer will allow you to listen to the singing of the gray seals that reside in the area. On the island itself, there is a quaint lighthouse to visit and relaxing walks to take in the stunning landscape. Pittencrieff Park features an abundance of well-kept lawns, colourful flowers, tropical plants and play areas, including a paddling pool. Donated by Andrew Carnegie, there is a statue dedicated to him in the vicinity. There is also a museum marking the birthplace of Carnegie in Fife. It honours the weaver’s son who became the richest man in the world after leading the industrial steel industry in America, giving away 90% of his riches to various foundations and charities. The museum features interactive displays, temporary exhibitions, children’s activities, special events and monthly weaving demonstrations.